Colorado is a reasonable state to live in for poker players. On one hand online poker is illegal (at least that's a reasonable interpretation), but on the other hand it's possible to play poker live in any licensed casino, as well as at home in a social setting. So even though the state of Colorado views poker as a game of chance, and consequently illegal, players still have several opportunities to play this game legally. As is the case with most state laws, online poker isn't specifically addressed. However, there are a number of passages that lead us to believe that the laws for online poker lean more towards being illegal. The risking of money or other thing of value for gain contingent in whole or in part upon lot, chance, or the happening of an event over which the person taking the risk has no control. Poker is considered a game of chance in Colorado. So that's strike 1. "Gambling device" means any device, machine, paraphernalia, or equipment that is used or usable in the playing phases of any professional gambling activity, whether that activity consists of gambling between persons or gambling by a person involving the playing of a machine; except that the term does not include a crane game, as defined in section 12-47.1-103 (5.5), C.R.S. You could argue that machine means the internet, your computer, laptop or mobile device. There's strike 2. "...knowingly transmits or receives gambling information by telephone, telegraph, radio, semaphore, or other means or knowingly installs or maintains equipment for the transmission." You could argue that this includes transmitting over the internet. Strike 3, you're out. There are loopholes, of course. For example, in 18-10-102, it mentions professional gambling activity, which in Colorado tends to mean operating a poker operation, not necessarily being a professional poker player. However, the attorney general has also mentioned that internet gambling in Colorado is illegal. You can find this on the official Colorado website. So any loophole you think you’ve found at this point is rendered useless. Like most states, home poker games are fine so long as no one is profiting from cover charges, rake or donations. And ss I mentioned above, under Colorado law "professional gambling" is running a gambling business, not being a professional gambler or poker player. Do Casinos in Colorado Offer Poker? Absolutely. You'll find poker games at the Doc Holiday Casino in Central City and at the Gold Rush Hotel and Casino in Cripple Creak, just to name a couple. We get a lot of questions about whether or not poker is legal in Colorado. Here are those questions and our answers. 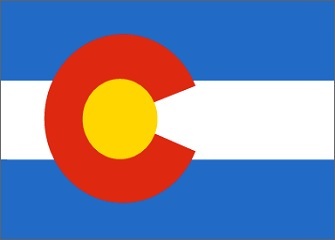 Will online poker be regulated in Colorado? There has been rumors of the Colorado Gaming Association discussing the topic, but there’s nothing to get excited over. Nothing has gone before legislation. However, there was a study in 2011 that showed that the state will lose money if they don't eventually regulate online poker. At the same time, according to the attorney general internet poker is illegal in Colorado. So we have mixed feelings on the future of the regulation of online poker in Colorado It's like a coin flip. Is there an online poker room that accepts players from Colorado? Yes. Colorado players should be able to sign up virtually anywhere that accepts US customers. Colorado isn't one of those states that poker sites prohibit from signing up. So you should be able to find action at Bovada, Sportsbetting Poker and BetOnline. What other forms of regulated gambling is offered in Colorado? In addition to poker and casino games, you'll find horse and dog racing, bingo and state lottery throughout the state. Where can I read more about Colorado poker laws? Here are some interesting facts about Colorado poker and gambling. Over 90% of Colorado casinos can be found in the three gambling boom towns. Central City, Black Hawk, and Cripple Creak. Until 2008 the maximum wager that you could make was $5. Now players can bet as much as $100. Poker Pro Chance Kornuth is from Colorado. He won the $5000 PLO event at the WSOP in 2010. He beat Kevin Boudreau who was also from Colorado Springs. 2012 WSOP Main Event Finalist Jeremy Ausmus grew up in Lamar, Colorado, went to Colorado State University before moving to Las Vegas to play professionally and busting 5th.